"Balloon Blaster - Infinite!" - They all float! "99 Luftballons, auf ihrem Weg zum Horizont..." ... stop me if you’ve heard this one! Anyone who’s ever been to an 80s themed event will have heard this German pop tune by Nena—there’s no escaping it! When I read the name of today’s app – "Balloon Blaster - Infinite!" – I immediately though of “Bubble Blaster” and assumed that it might also involve colorful balls that have to be stacked together according to color in order to get them to explode… But that’s not how "Balloon Blaster - Infinite!" works. Read on to find out what this game is all about. •	Balloons: Regular balloons rise a lot faster than hot air balloons; they always float in front hot air balloons (as far as I can tell), and they’re smaller than hot air balloons. •	Hot air balloons: They’re always in the background. There are not as many hot air balloons as regular ones, and you could say that they “designate” a level. With each new “wave” several hot air balloons appear. After the last one has floated out of sight at the top of the screen it will only take a brief moment until new ones appear—and they will move faster than the previous ones. All balloons explode when you touch them, regardless of what type of balloon they might be. 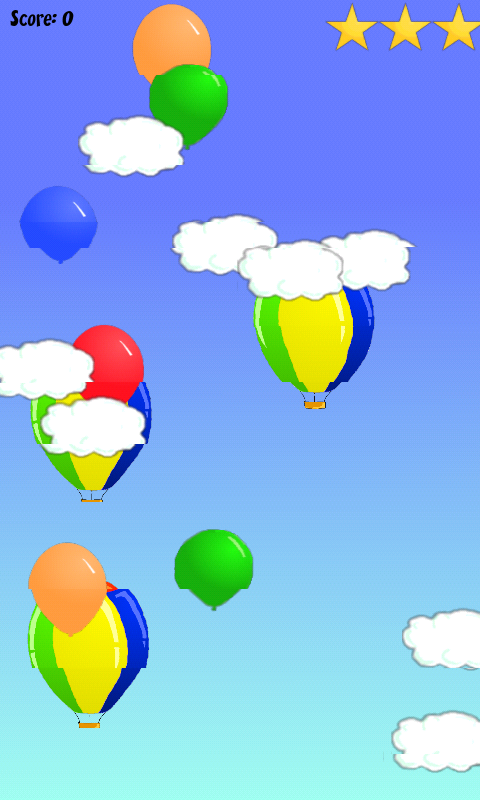 All of the hot air balloons have to make it to the sky safely and all normal balloons have to be popped. If you let a normal balloon get away and it makes its way up through the top of the screen you will be deducted a life. You also lose a life if you accidentally pop a hot air balloon. At the beginning of the game you have three lives and your objective is to hold out for as long as possible, scoring as many points as you can. "Balloon Blaster" is a fun game to play for a while, but it gets repetitive after a certain time. I had two main issues with the gameplay: firstly, as the game progresses it becomes increasingly unrealistic to pop every single balloon. Remember that you’re punished just as severally for letting a balloon get away as you are if you accidentally pop a hot air balloon. Secondly, the game is not very diversified. Aside from an increase in speed and in the amount of balloons your task always remains the same, which makes the whole thing a bit monotonous. •	Install real levels: You quickly tire of games that don’t take any time to figure out and that don’t offer any real challenge. When a person plays a game there’s usually always one factor that prevents you from getting ahead, and in order to get ahead the only thing you can do is practice, practice, practice! 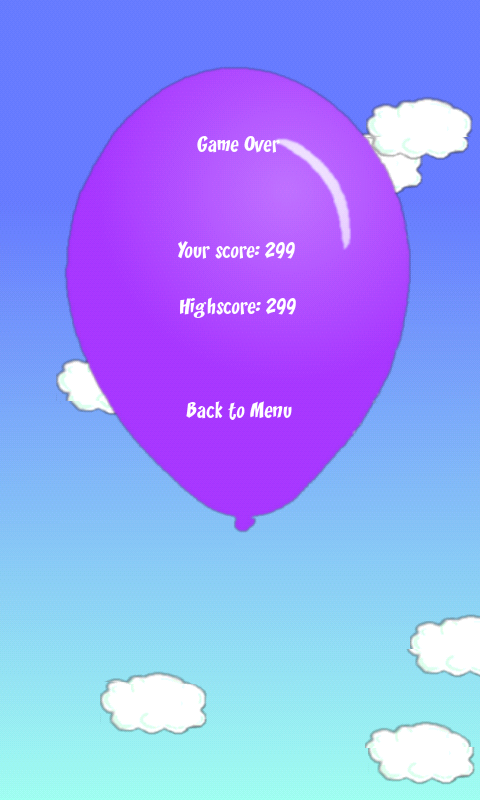 The thing is that you can’t save which level you’ve managed to reach when playing “Balloon Blaster”, which means you always have to start over from the beginning. This in turn means that you aren’t given a real opportunity to practice and hence lack drive to start playing again. •	Online score: Is there anything greater than comparing oneself to others? :-) An online option for posting your score would be great and might motivate players to beat not only their own top scores but everyone else’s, too. "Balloon Blaster - Infinite! "‘s design is really nice and suits the game genre perfectly. Controls are equally well made. You simply have to touch the balloons in order to pop them. A lot could’ve gone wrong with this type of controls, but luckily there aren’t any occurrences that you accidentally pop a hot air balloon when you were really aiming for a normal balloon. Hats off to the developers. Aside from switching the music on or off the app doesn’t provide any other settings. 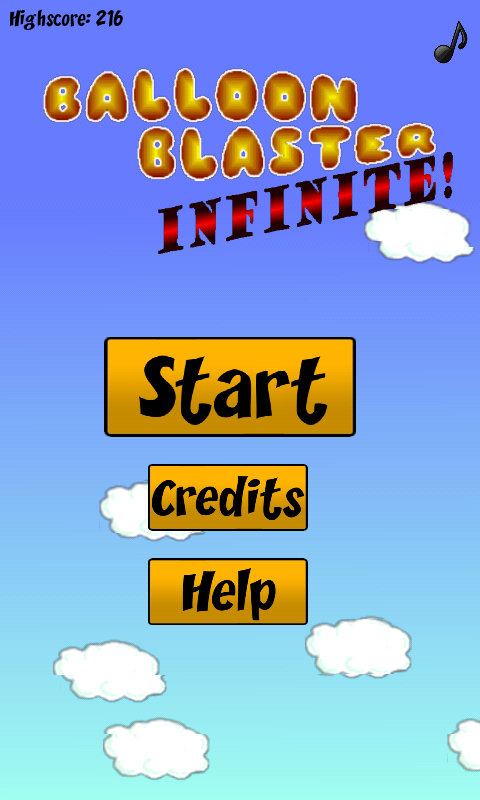 "Balloon Blaster - Infinite! "‘s performance in regards to speed and stability was very good throughout the testing phase, BUT the app requires a whopping 15,71 MB! Heavy! And App2SD isn’t possible, either. Oops! "Balloon Blaster - Infinite!" can be downloaded for free from both the App Center and the Google Market.